Register Here for Your Chance to Win! 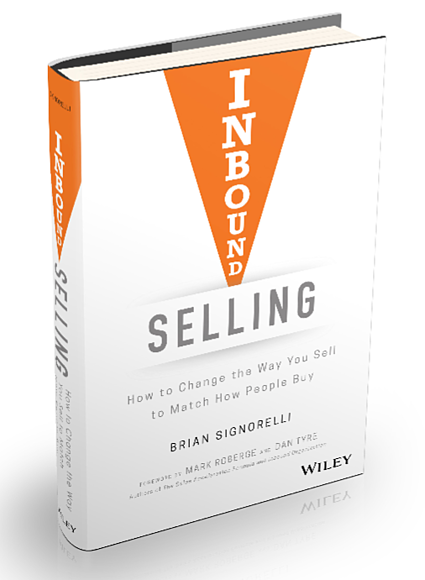 If you've already pre-ordered your copy, or copies, of Inbound Selling: How to Change the Way You Sell to Match How People Buy, you're in the right place! Fill out the form below to register for your chance to win one of 10 prizes! If you haven't ordered yet, pre-order here, then come back to this page to register. Step 1: Go to Barnes & Noble or Amazon.com and place your pre-order NO LATER THAN APRIL 30, 2018 (11:59pm U.S. Eastern Daylight Time). Order as many copies as you want. Each pre-order copy will count as "one" raffle ticket. Step 3: Fill out the form on this page, and upload the image that shows proof of your pre-order. That's it! Get excited for a chance to win one of 10 prizes worth over $2,500! Learn more about the prizes here. Fill out the form to enter now!! Ready to Go? Submit Your Pre-Order Details Here! *This is not a book pre-order page. To pre-order the book, go to Barnes & Noble or Amazon.com. Then come back and fill out this form.